Central Asia is at the junction of the two parts of the Eurasian continent, connecting Europe with Asia. Takes with advantageous geographical position. The general situation in Central Asia is the Republic of Kazakhstan, Kyrgyzstan, Tajikistan, Turkmenistan and Uzbekistan. The total area of ​​the region tsetralnoaziatskogo about 4 million square kilometers, the population – 55 million people. The region is the link Europe with Asia. Here trails railways and highways. Asia central city of minerals, it is rich in hydrocarbons,non-ferrous and rare metals. Since 1991, after the collapse of the Soviet Union, Central Asia, are sovereign states, each of which is developing new rate, maintaining their language and culture, customs and traditions. Monuments, as well as the construction of new-fangled Central Asia attracted world attention. These countries are assisted in the transition to a market economy. Thus reviving the Great Silk Road, acting as a guarantor of the independence. Gustonaselennuyustranu Uzbekistan is located between two major rivers Amu Darya and Syr Darya rivers, known in ancient times Mawarannahr – Mesopotamia. Today, Uzbekistan – the center of eastern civilization, there are many tourist sites drevnosti.Vnimanie different corners of the world are attracted by its beauty and spirit of ancient mosques, mausoleums. 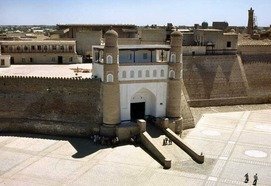 Uzbek cities of Samarkand, Bukhara, Karshi, Khiva is listed as a World Heritage Site. Capital Tashkent is changing from year to year, becoming a modern developed city. In gorodepostroeny tall majestic buildings of glass and metal, new parks, hotels, water fountains. Subway is considered unique, built to high seismic activity. Metropolitan are marble and granite stations by the best craftsmen and designers of the country. Will surprise trip to Charvak reservoir, which is located in the mountains of Aksu. In winter, you can see the beauty of snow-capped mountains and mountain climbing, and sunbathing on the beach in the summer and ride on boats and catamarans. Kazakhstan – a big flat country. By area, Kazakhstan ranks first in the other republics of Central Asia. North of the country comes to the West Siberian Plain, in the south of the Tien Shan mountains. The country is surrounded on all sides by the snowy peaks. 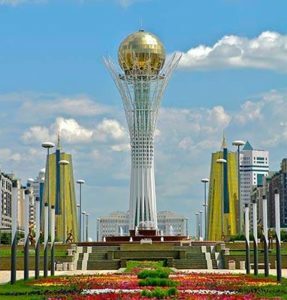 The capital of Kazakhstan is Astana. Almaty – is the former capital of the country, is famous Ili Alatau. Here, near the city, are an ice rink and a ski point Medeo. Borovoye resort attracts tourists with high pine trees, and built takzhenedavno beaches on the eastern shore of the Caspian Sea. World of medieval times is the mausoleum of Khoja Ahmed Yassaviy city of Turkestan, was built during the reign of the great military leader and statesman of Amir Temur. Noteworthy Baikonur space launch site and the world. Kyrgyzstan – a mountainous republic, where there are the highest mountains of Central Asia, the Tien Shan and Alatau. There are over two thousand lakes, but the most popular of them – Issyk-Kul Lake, which has healing properties. Gained international fame Issyk-Kul by mineral springs, grandeur of the natural landscape and the pure mountain air. Sary Chelek is a wonderful embodiment of nature, it is the height of two kilometers, surrounded by fir Tien Shan. Natural decoration edges are considered high snow peaks, blooming gardens, fir and walnut groves, woods blue Tien Shan firs, fragrant shrubs and sea buckthorn and barberry. Walnut wood, called Arslanbob, which is more than three thousand years, remembers voinovvelikogo Alexander the Great. Republic is rich in archaeological and historical monuments, witnesses are remnants of the Zoroastrian, Buddhist, Christian churches. 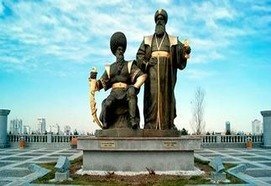 In Osh, Suleiman is the holy mountain to the house where he lived and worked conqueror of northern India and the founder of the Mughal Emperor Babur Zahireddina Muhammada. Turkmenistan is associated with the boundless wilderness, and with simple, because a large part of the country is occupied by sand deserts. Here for a long time there were settlements, thriving city. Archaeologists found the monuments of ancient and medieval times Parthia and Margiana. The capital of the ancient Margiana, Merv, its majestic ruins International ogranizatsii UNESCO included in a number of World Heritage sites. Is very popular among tourists Firyuza, located near Ashgabat, capital of Turkmenistan. Ashgabat is a modern city.